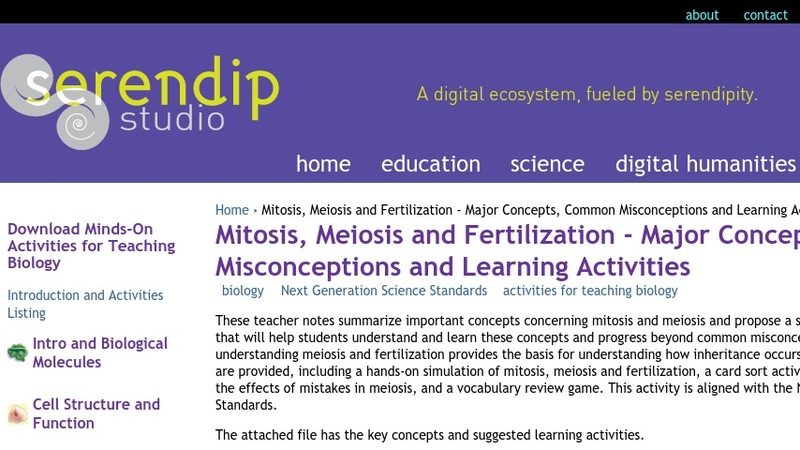 These teacher notes summarize important concepts for students to understand concerning mitosis and meiosis, including the principle that understanding meiosis and fertilization provides the basis for understanding the fundamentals of inheritance. The proposed sequence of learning activities will help students understand and learn these major concepts and progress beyond common misconceptions. This overview provides links to suggested activities which include a hands-on simulation of mitosis meiosis and fertilization, a card sort of activity, a vocabulary review game and discussion questions.